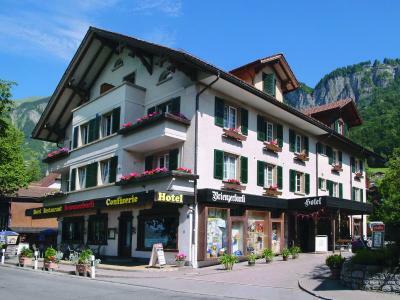 Lock in a great price for Hotel Brienzerburli – rated 8 by recent guests! Very well maintained family-run hotel. 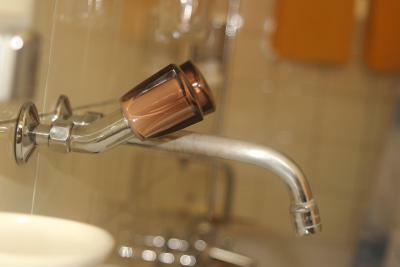 Facilities are nothing luxury but very comfortable and practical. Everyone from the team was friendly, efficient and always there to help. 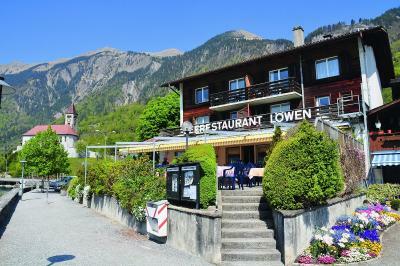 The location is best in Brienz - a few minutes drive to the main station and there is a supermarket within walking distance. 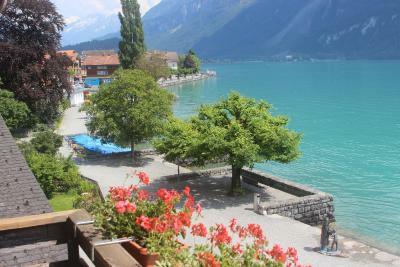 We had a room with terrace directly overlooking the lake and this is the view you would never grow tired of. They also run a restaurant which was also worth trying. We booked our room last minute and were uncertain of what to expect. Traveling with my husband, his sister, and his 75 year old mother, and often sharing one room, we were thrilled to have apartment-style accommodations. The two-bedroom apartment with a separate small living room (and a small balcony off the living room) was ideal. 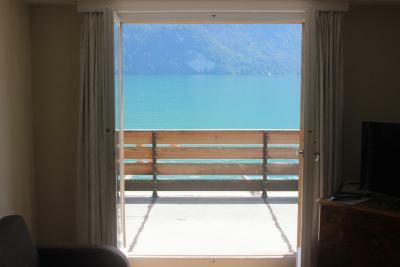 The view was breathtaking with my bedroom window opening onto Lake Brienz and we slept with open windows during our September stay. Complimentary breakfast was good and we loved walking on the waterfront and in the local streets. We took a day trip (via bus) to the nearby Ballenberg Swiss Open-Air Museum (highly recommend!) and enjoyed the local pub and a nice waterfront dinner at a nearby restaurant. majority of the staff were unhelpful and sour faced. 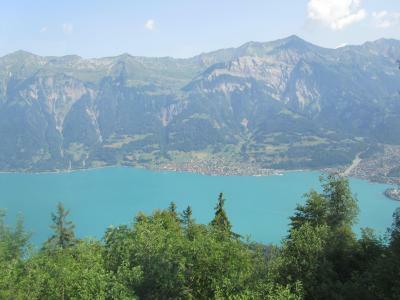 The location is amazing with an amazing view of the mountains and lake. Amazing hotel location! 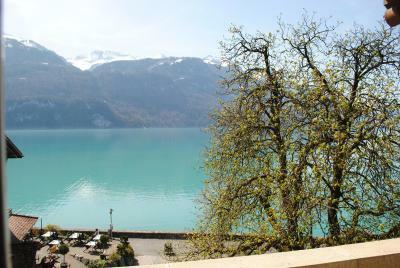 Breakfast right at the turquoise Brienz lake. Very friendly staff and easy check-in/check-out process. The town is very cute with its wooden houses and in the evening it's an oasis of tranquility. 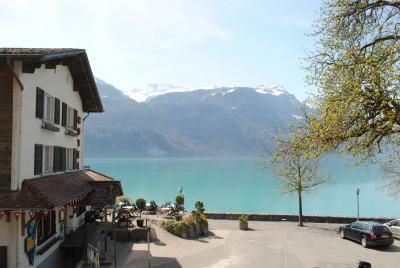 One of the best hotel experiences in Switzerland. 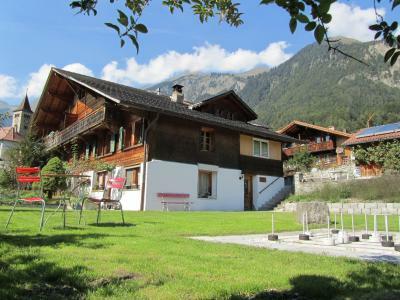 Hotel Brienzerburli This rating is a reflection of how the property compares to the industry standard when it comes to price, facilities and services available. It's based on a self-evaluation by the property. Use this rating to help choose your stay! 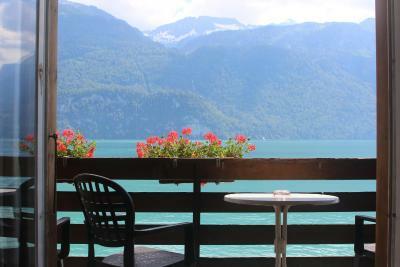 The Brienzerburli hotel on the promenade along Lake Brienz features a restaurant with lakeside terrace offering Swiss cuisine. 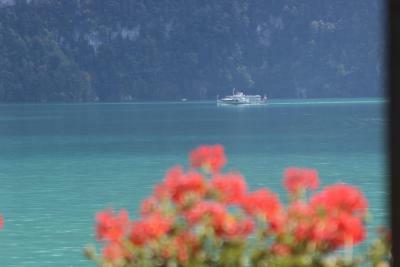 Free Wi-Fi, free parking and a free shuttle service from and to the Brienz Train Station are available. 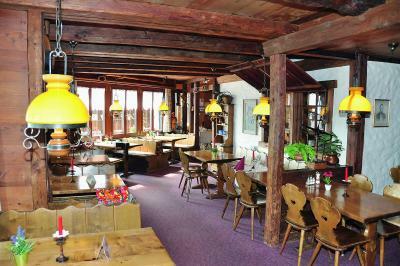 Swiss dishes, pizza and vegetarian dishes are served in the 2 restaurants of the Hotel Brienzerburli. Every morning you can enjoy a rich buffet breakfast with home-made bread and pastries. The romantic street Brunngasse is 350 feet away, as well as the Swiss Carving Museum. When would you like to stay at Hotel Brienzerburli? 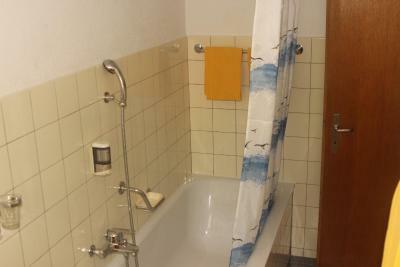 Medium-size room. Most can be reached by elevator. Large room with enough space for 2 extra beds. They can be reached by elevator. This is a compact room. This apartment has a balcony, seating area and sofa. 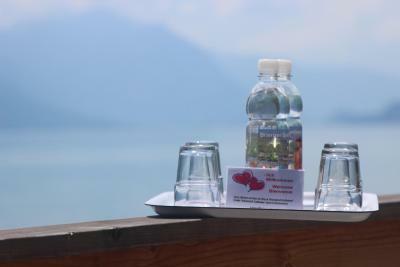 House Rules Hotel Brienzerburli takes special requests – add in the next step! 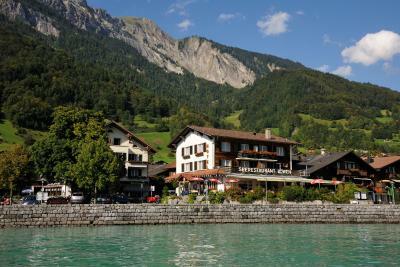 Hotel Brienzerburli accepts these cards and reserves the right to temporarily hold an amount prior to arrival. Please note that the shuttle service needs to be booked in advance. The day can get a bit hot and room can be warm. Apart from opening all windows, availability of an electric fan would have been great! Flies! Pesky flies in the room and at the dining area. Should do something about it. Breakfast was not that good , I asked them if they do omelet but they said no. The location was absolutely amazing !! Perfect location. A church and its clock tower is in proximity. 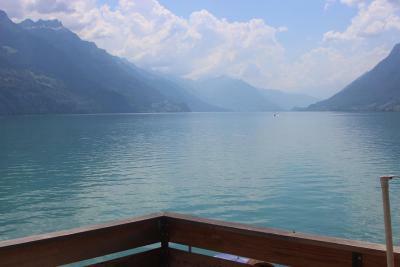 The property Commands unparalleled view of lake Brienz and is hardly any distance from the renouned Brunngasse Street. We, 3 adults, stayed here, and the accomodation was very comfortable, in fact the best during our trip across Europe. The Breakfast is good and has quite a lot of options, though it’s essentially continental. In case you are leaving early the hotel gives you packed breakfast. Highly recommended. Unfortunately the peacefulness was ruined by noisy children staying next door, of course the hotel couldn’t help this!! Would have been nice to have a small jug in the room. Beautiful view from my window, lovely comfortable bed and a lovely little hotel to stay in. There was no air conditioning and no flyscreens so when we opened the windows for air, we got flies inside. The views from each of the rooms were stunning. The rooms were large and comfortable.